He can recite beer styles faster than a speeding bullet, his tripels are more powerful than a locomotive and he can leap his own custom-made portable bars in a single bound. Is it a brewer? Is it a judge? 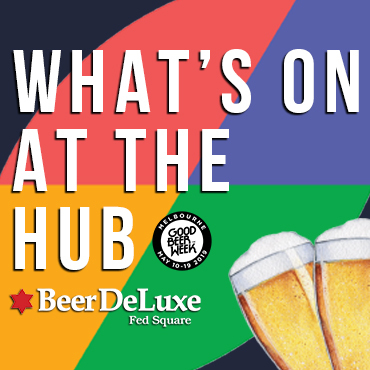 No, it’s those things and more – Western Australian beer’s own version of a superman. Even if Brian Fitzgerald (pictured above centre hosting a tasting of his beers at Petition Beer Corner) doesn’t have a red cape. Short of having his own brewery, there isn’t a corner of the industry Brian hasn’t mastered in the 15 years he and wife Julia have made this country home. He is Australia’s first Certified Cicerone. He imports beer equipment. He constructs huge tap hubs that are great for festivals. He is the immediate past president of the WA Brewers Association. He has a degree from the American Brewers Guild. He brings in yeast from all over the world. And he brews wonderful Belgian-style beers that have, in the past 12 months, become critical and commercial successes. His latest return to his native USA centred on Brian’s study of yeasts. He came back two months ago with some samples that will tantalise those who like to make and drink brews with a bit of funk. Brian was so impressed by what was happening at White Labs in San Diego he has added another line to his bulging resume by acting as the company’s Australian importer. “They are doing so much yeast research there and discovered that strain 644 is actually a saccharomyces strain that shows off some wonderful Brett-like (Brettanomyces) characters,” Brian says. “It develops wonderful aromatics with cherry on the nose and would be perfect for a beer similar to a Flanders Red. 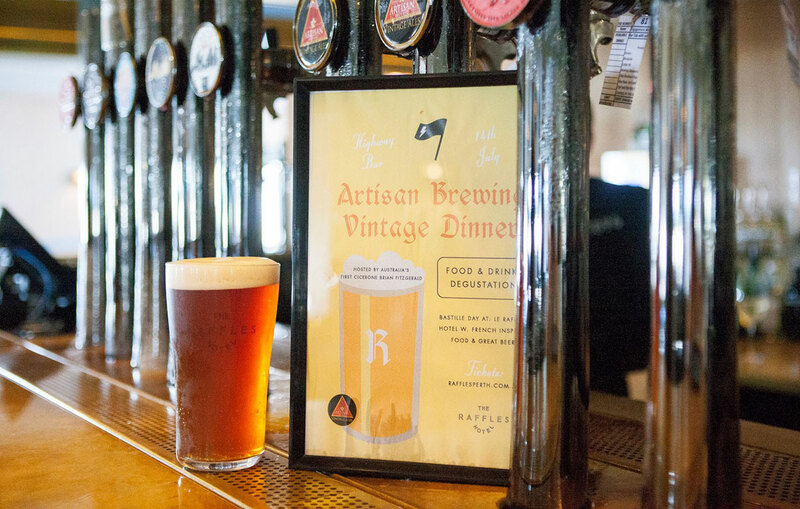 In the past 12 months, Brian’s Artisan Brewing has become renowned for its yeast management in a range of award-winning beers. His Tripel Treating, a collaboration with The Monk Brewery and Cellarbations Superstore for WA Beer Week, was judged by The Crafty Pint’s panel as one of the state’s top 10 new releases for 2016. As was Artisan’s Zenne 14, a super sour with a spectre of the Belgian lambics. To have two beers on such a tight list was a cheers-worthy achievement. Brian was a judge – he, of course, has a BJCP licence – at last year’s Perth Royal Beer Show but was naturally excused from evaluating his own drops. Other judges lauded his work by awarding a gold medal to Artisan’s Autumn Blond. There were also silvers for Zenne 14, Wallonia Gold and 2016 Quad while the Summer Witbier and Dave’s Golden Ale collected bronze medals. Then, after winning the top gong at the South West Craft Beer Festival for Tripel Treating, the beer shot to an average of 4.58 points out five on Untappd. That total boosted Artisan to an overall rating of 3.84, the highest listed WA brewery on the beer checkin app, nudging ahead of Feral at 3.81. As such, Brian is confident Artisan will be in the top 20 breweries in Australia on the Untappd charts once it reaches 1000 ratings. Brian started homebrewing in the US then travelled the world for business. After time in Singapore, he and Julia bought property in WA around the turn of the century with the intent of setting up a brewery. The equipment is still to come but the spirit of brewhouse is definitely within the small company. 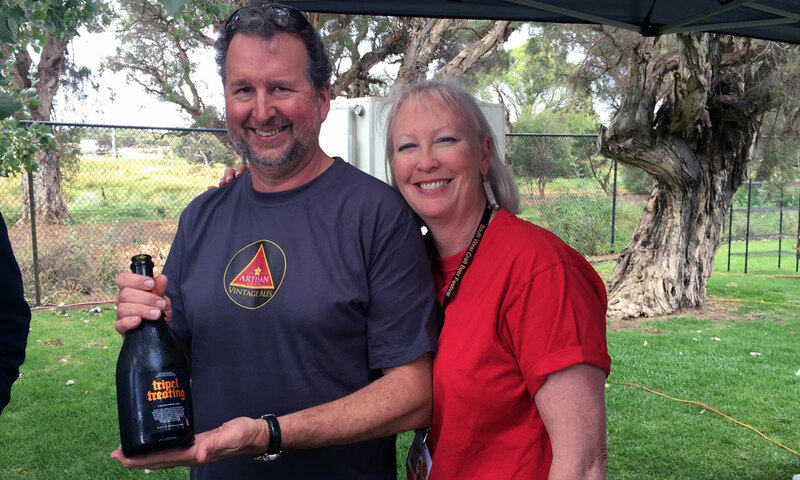 Brian and wife Julia with a bottle of their highly rated Tripel Treating. Given the couple's home is in Denmark, a five hour drive southeast of Perth, setting up a brewing company wasn't an easy task. Yet Brian is a beer aficionado who is prepared to back himself regardless of the adversity. For instance, he happened to be in the US a couple of weeks before a Certified Cicerone examination and thought he’d make the most of an unexpected opportunity. Then it comes to his choice of beer: brewing Belgian styles isn’t a soft option. But Brian developed a love affair for Flemish and French-influenced beers from a fondness for grape; even then, he admits he was crazy to launch his gypsy brewery with an 8.2 percent ABV Farmhouse Red. “I was more into wine 20 years ago and found I had a palate for tasting flavours,” he says. “I had an epiphany beer with a hefeweizen. I put my wine hat on after tasting one and came up with the banana and clove. So I thought I’d try some other European beers. Having started, he's never let up. On the drawing board is a new brew to be called Witty the Younger, which will feature lemon myrtle leaves. For fans of such beers, especially when done so well, the only drawback has been their limited availability, both in terms of volume and the fact they've almost exclusively appeared only on tap. However, better news lies on the horizon: with the help of nearby Boston Brewery, Artisan hopes to put some single release beers into cans in the near future. 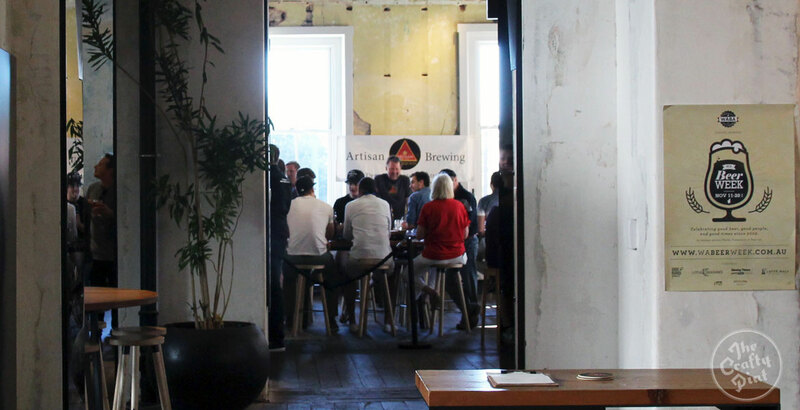 Find out more about Artisan Brewing here. About the author: Ross Lewis is editor of beer website, The Sip.